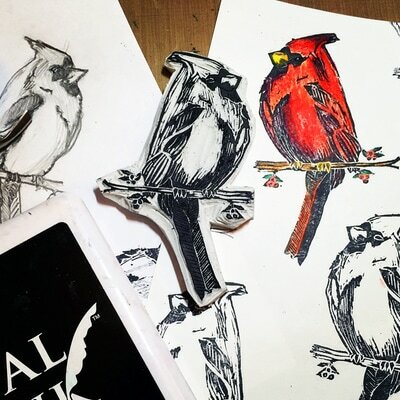 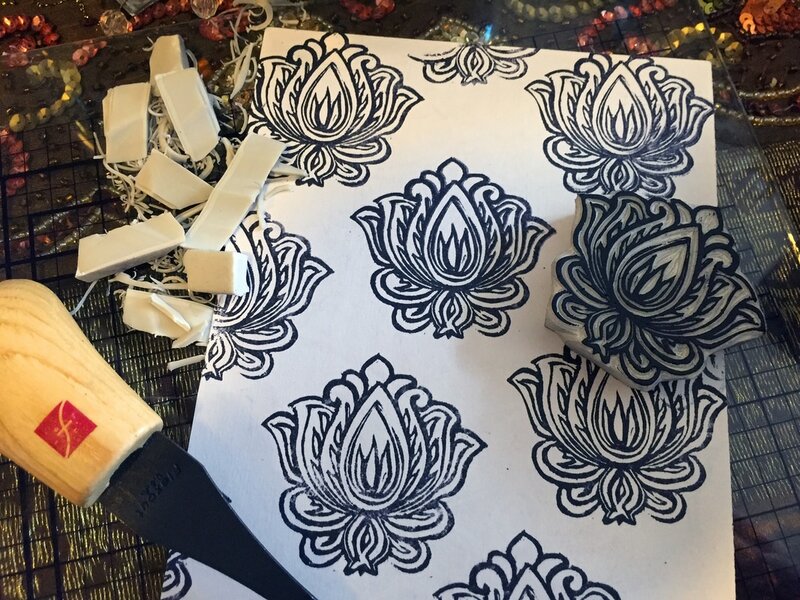 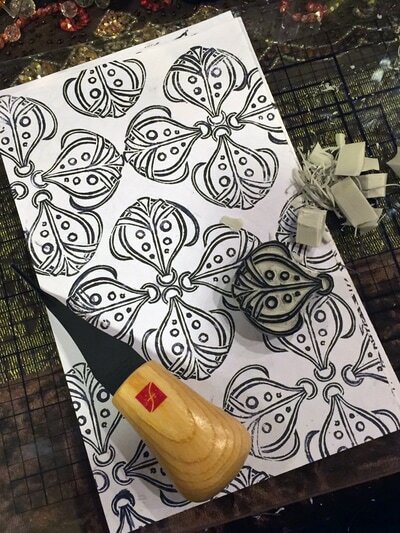 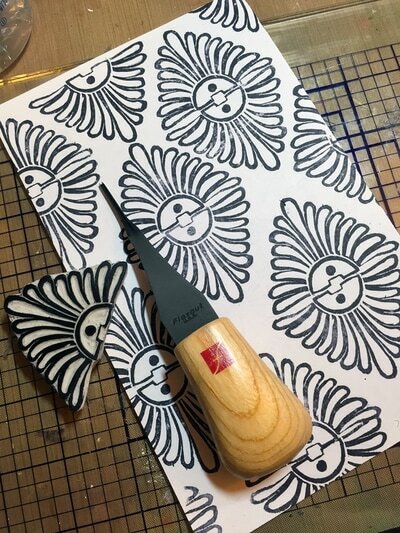 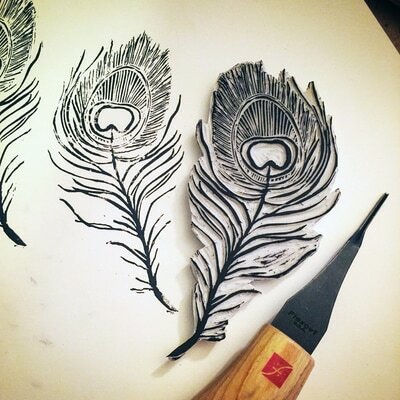 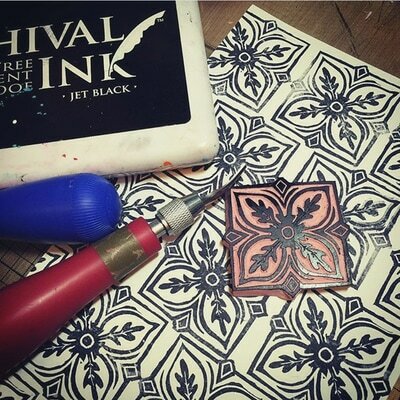 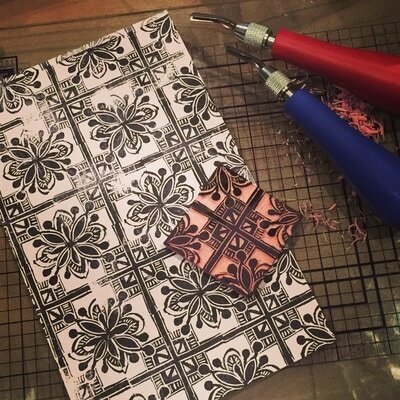 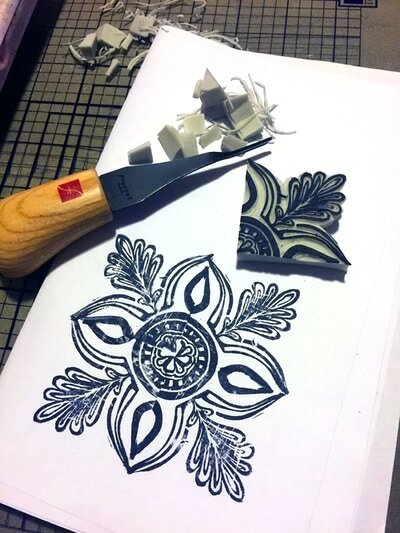 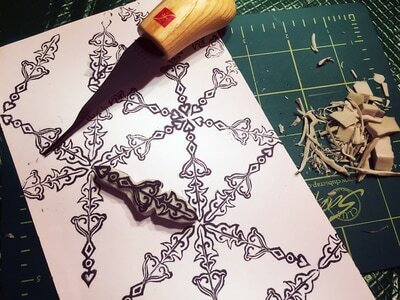 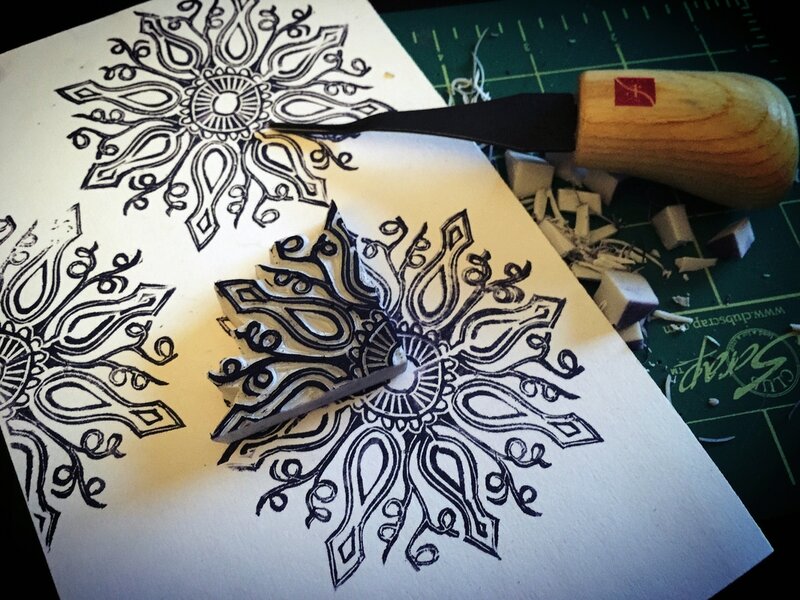 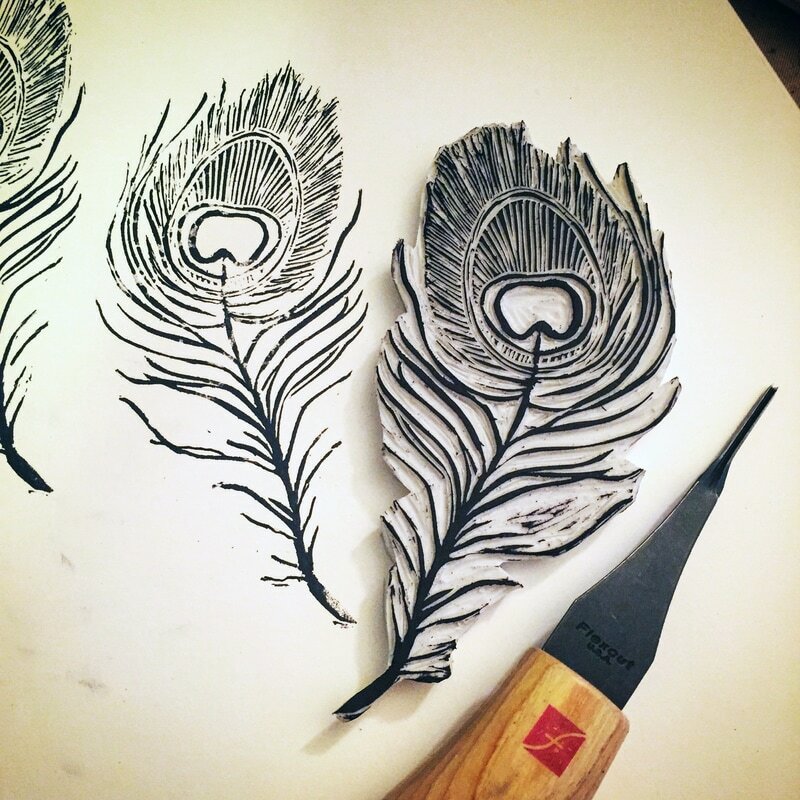 ​Join me for a stamp carving adventure where we'll learn the ins and outs of carving your own rubber stamps. 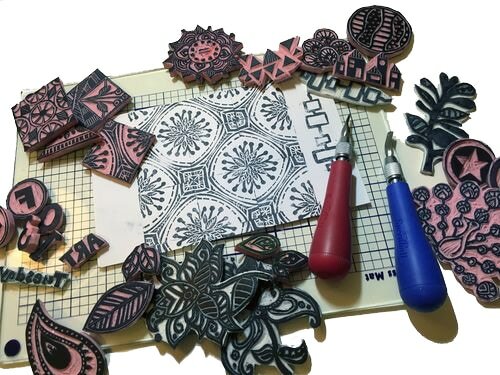 Perfect for scrapbooks, cards, art journaling, and mixed media, hand-carved rubber stamps help you add your own unique mark to your work. 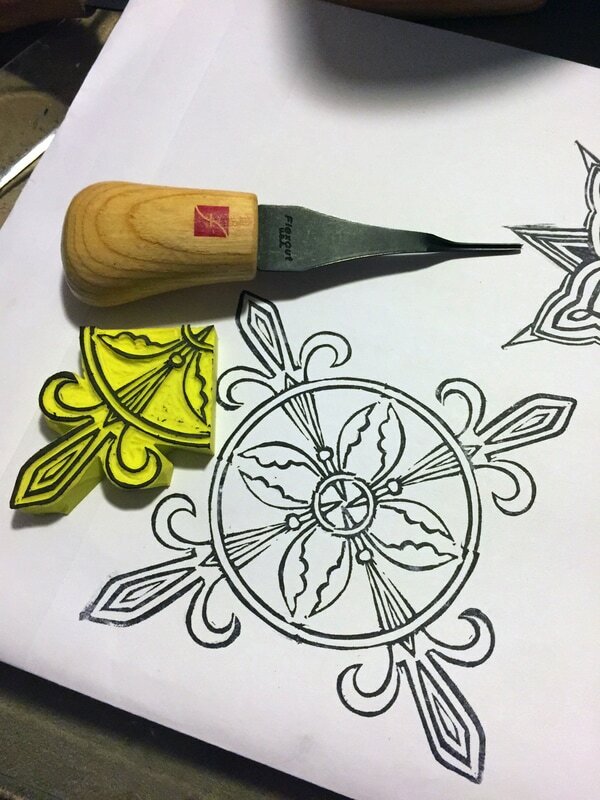 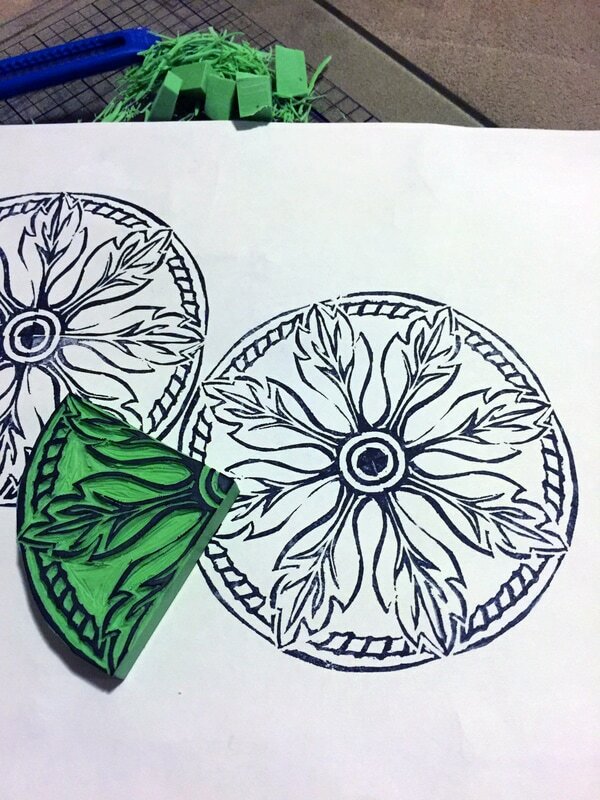 We’ll go over the basics, including tools, cutting techniques, and creating your stamp designs and getting them onto your rubber. 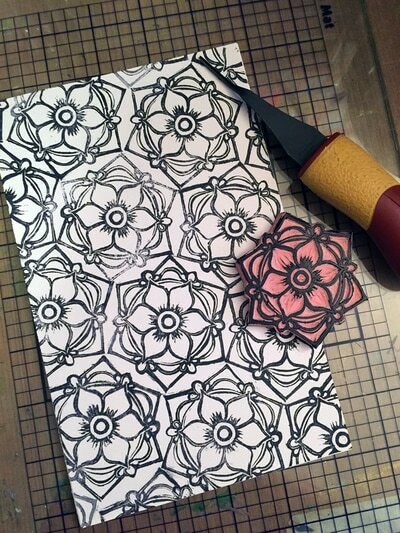 We’ll make several stamps in class, focusing on basic designs, repeating patterns, and word stamps. 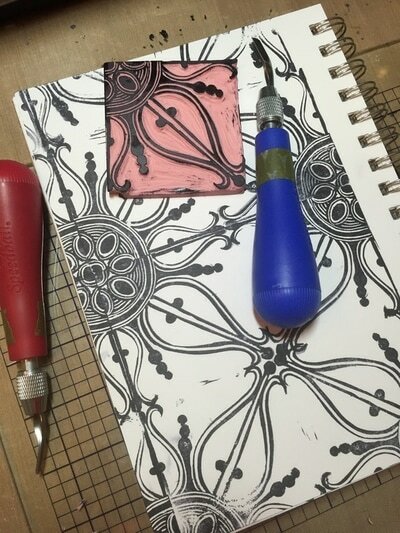 There will be sample designs from my own stamps available for you to use, or you can design your own! 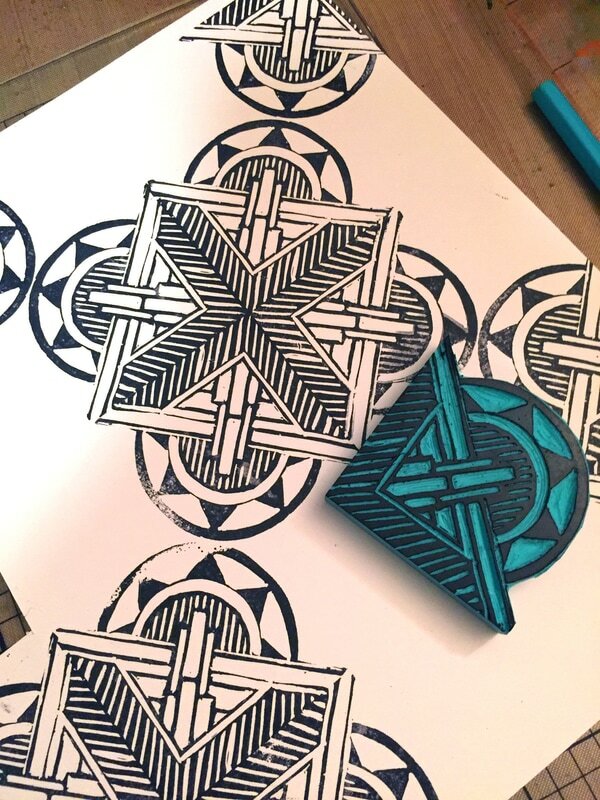 Check out the Hand-Carved Stamps section of Gwen's portfolio for even more samples and design ideas.